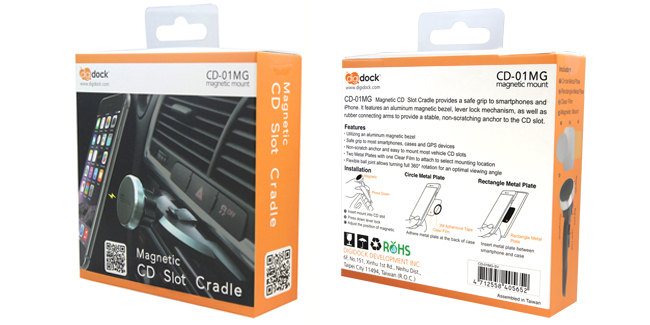 CD-01MG magnetic CD slot cradle provides a safe grip to smartphones and iPhone. 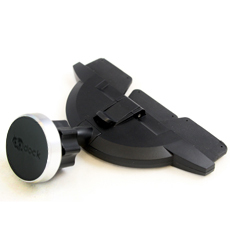 It features an aluminum magnetic bezel, lever lock mechanism, as well as rubber connecting arms to provide a stable, non-scratching anchor to the CD slot. 1. Insert mount into CD slot. 2. Press down lever lock. 3. Adjust the position of magnetic. l Utilizing an aluminum magnetic bezel. 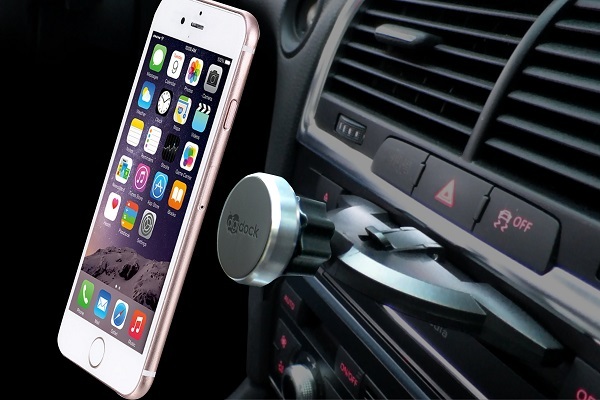 l Safe grip to most smartphones, cases and GPS devices. l Non-scratch anchor and easy to mount most vehicle CD slots. l Two metal plates with one clear film to attach to select mounting location. l Flexible ball joint allows turning full 360° rotation for an optimal viewing angle. Digidock Development Inc. Any unauthorized use is strictly prohibited.